Witch's Court a unique title for a crime title attract our attention. This title look similar to Witch Romance an old korean drama but with the totally different plot. 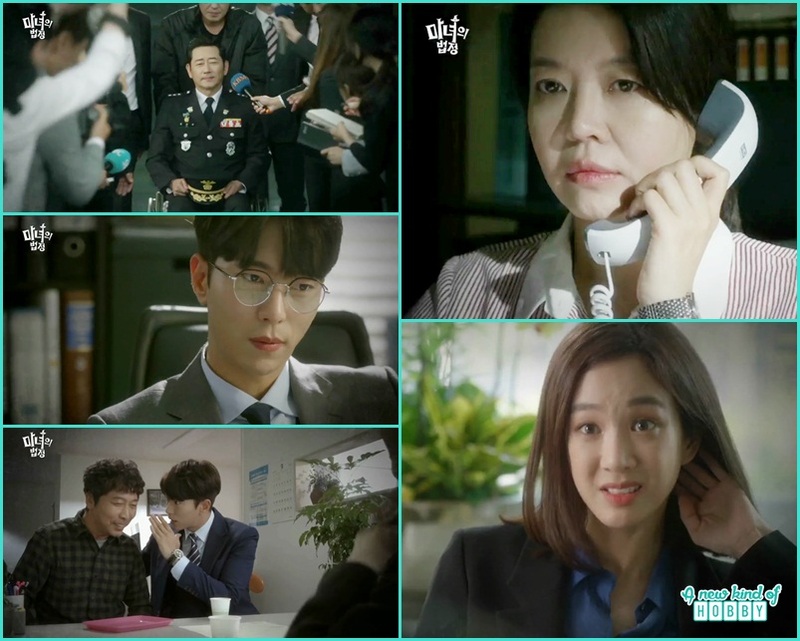 We will going to see a rich and experienced cast including Jung Ryeo-Won, Yoon Hyun-Min, Jeon Kwang-Leol and Kim Yeo-Jin. Jung Ryeo Won is so charistmatic and always being reminded us of the rich girl who freaquentaly abuse in drama "History of Salaryman", other then this she played memorable characters in 'My name is Kim Sam Soon', 'Which Star are you from', 'Princess Ja-Myung', 'The Lord of Dramas', 'Medical Top Team' and "Bubble Gum". Yoon Hyun Min the emotionless cold guy from "Tunnel", we also watch him in Heartless city, Inspiring generation, A Witch Love, Dicscovery of love and Beautiiful Mind, now in Witch Court and will going to to appear in another upcoming drama "Fall from the Sky". Thumbs up for the lead cast. Witch's Court plot is based on special division which deals only with sexual crime against women and children. So after a long time we will going to watch a story based on too sensitive subject the writer , director and actor delicately portray the circumstances how one suffers from se-x crime. How it leaves the after effects on one's life and try to infuse some lighter moments too. Looking forward for the story which give us a serious vibe, the story for sure will not disappoint us and we are sure it won't be boring like lee Jun Ki's 'Criminal Mind'. The story starts from Ma Yi-Deum who worked as a prosecutor for 7 years. She sometimes resorts to drastic methods to win cases. One day, Ma Yi-Deum is transferred to a special division dealing only with se-x crimes. Winning become justice and prosecutors always look forward to catch the criminal and win the case and punish the offenders for the victims. You will going to watch this drama on KBS2 every Monday and tuesday right after "Girl's generation 1979" end. Looking forward to watch out witch's Court This October. Stay tuned for more cool updates.